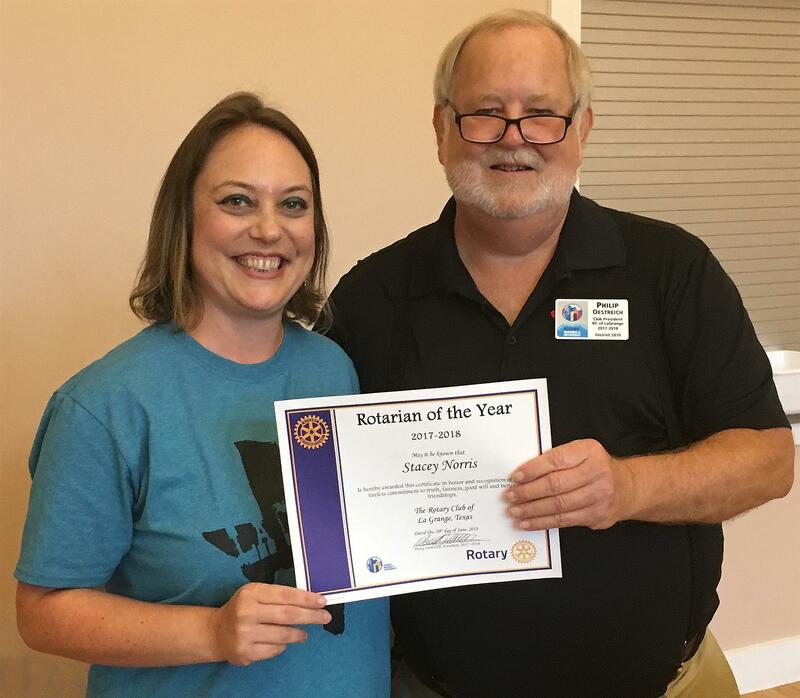 Rotarian of the Year, 2017-18, goes to Stacey Norris. Prior to new officers being installed on Wednesday, June 20, President Phil Oestreich presented a number of awards for service during the past year. Stacey, who also was inducted into the District 5870 Roll of Fame earlier this year, chaired the club's Disaster Relief Committee that oversaw the collecting and dispersing of more than $340,000 in relief efforts following Hurricane Harvey.